Whosyercon 11 Special Issue ~ Stephen Wins 6th WYC Open ~ WYC 11 Game Reports ~ Game Review, "Wings for the Baron" ~ Rare Colorized Film of WW1 Aviation ~ Book Reviews: "Italian Aces of WW1," and "My War in the Air 1916"
​The 2019 Whosyercon Open set plenty of new records, but they were record lows. This year's event was one of the shortest tournament games in Indy Squadron history. It produced the lowest winning score of any Indy tournament in the modern era (since the adoption of the current scoring system in 1994), even surpassing last year's then-record low score set by 2018 champ Rick Lacy. 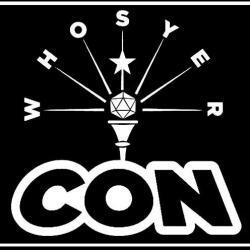 Five players gathered on March 23, 2019 at the Whosyercon gaming convention in the Wyndham West Indianapolis for the sixth edition of Indy's Whosyercon Open, tying the 2017 event for the lowest attendance on record. Every airplane in the scenario was outstanding, which probably contributed to the brevity of the game as it eventually played out (con't below). 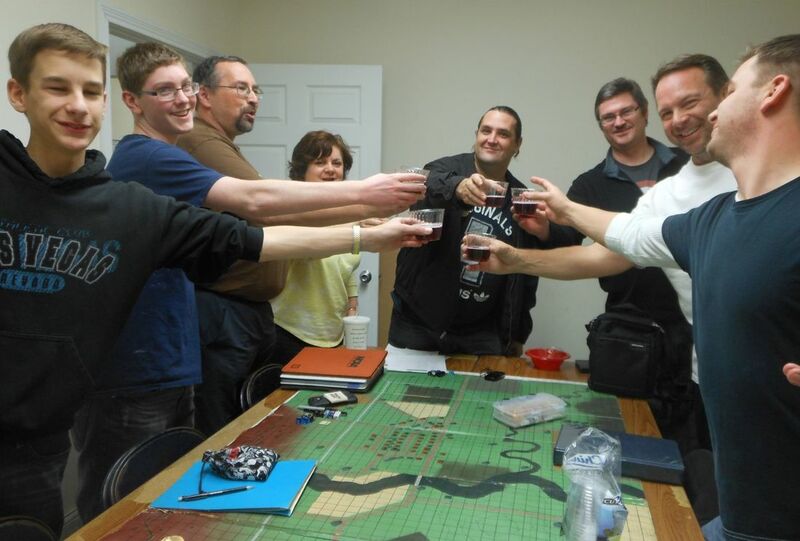 The Indy Squadron gathered at the Meister's home in Indianapolis on February 2nd for a trio of games featuring five players (Ethan, A. J., Bob, Michael and Stephen). Mrs. Meister served a delicious round of bacon wrapped mini dogs, Magic Bars chocolate desert and an array of snacks (thank you!). This session had a different feel entirely. Instead of the DP's infamous Chart Patrol slavery in which we played only the scenarios dictated by the random charts, we let anyone at the table design their own mission. We played three interesting and fun filled scenarios and here's how they turned out. ​Set in June 1917, the first game pitted three French Nieuport 17's flown by Bob, Michael and Stephen against a pair of Albatros DVa's piloted by Ethan and A. J. Although the German team appeared to be underdogs on paper due to their lack of experience, they actually flew a flawless game and fought the French Nieuport's to a draw despite some expert tailing by two-time Red Baron Fight champion Michael Morgan. No aerial victories were scored and all participants flew home safely. The new Indy Squadron gaming schedule has been released for the upcoming calendar year. See the right sidebar of the home page at IndySquadron.com for the full schedule. A few dates may change, but most are firm. Potential changes could await for dates including February 9, June 29 and October 19. Dates for the 2019 Sprint Mini Con are not yet available. Dates that appear solid at this time include New Year's Day, Whosyercon on March 22-24, Red Baron Fight in April (unless the Society Mini Con schedules on the same weekend), Gen Con in August and Armistice Day in November. This is the squadron's working template and it should provide a good overall idea of what will happen and when. BOOK REVIEW: "Britain & Victory in the Great War"
Editor Peter Liddle has produced a very interesting and unique volume with his recent work, "Britain & Victory in the Great War," published by Pen & Sword Books. Available in hardback, Kindle or ePub formats, this new book is a collection of articles examining every imaginable aspect of Allied victory in World War I. 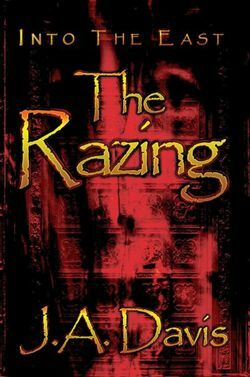 Each chapter is written by a different author covering a slightly different topic. Rather than focusing solely on Britain's role in victory as the title suggests, the part played by every Allied power is fully examined. The roles of France, Russia, Britain and the United States are presented, with each respective author discussing a particular nation's contribution to victory. It is a compelling collection of material that almost seems as if the authors are competing to make their best case for each nation's role in the war. The book concludes by discussing the effects of the war on European society, again with each topic written by a different author in a single chapter. Topics include poetry from Great War participants, the re-creation of the Middle East into the perpetual war zone that it is today, and a chapter dedicated to summarizing the tragic loss and devastation of the war. The starting time has been moved back to 11 am at Dory's request. She has a hard time driving after dark, especially when tired. That extra hour will make a big difference in her ability to attend and enjoy the day instead of hurrying. ​Thanks to Rick for setting up this year's scenario. He's done several in the past and they turn out great every time. No complainers! Yes, your airplane will be on par with everyone else's and yes, everyone gets a choice (even the last guy to choose). One brief warm up game will begin at 11 o'clock. Expect it to be ended early ("called on turns") deliberately. The tournament will start immediately thereafter. It would be great if we could roll dice on the tourney around 1 pm. Actually I'm not even sure that's a number. I just found out today that Michael is competing and I'm trying to cast a spell on him. We can't seem to beat him any other way. He's won multiple Armistice Day tournaments and multiple Red Baron Fights. We can't uninvite him because he's a former champion and is perpetually eligible for every Indy title til freaking doomsday. The only remaining option is to blow up his car, but every hit man I call wants his license number and I don't have it (please contact the webmaster). Unless somebody finds a way to beat this guy, it does not look good for the rest of the field. For those crawling out from under a rock, it should be known that Rick is having an incredible year. He has over 20 aces on his roster now. Rick won the 2018 Whosyercon Open, won Red Baron Fight XXIX and can now complete the hat trick by taking Armistice Day and securing the only Triple Crown victory in history. But it does seem that Rick took the week off at the Society Min Con in 2018, finishing a distant 29th. That was two places behind... Jim Barber. Maybe we're okay after all. Can Rick Lacy Win Indy's Triple Crown? The Indy Squadron Triple Crown consists of the three events that have come to define the local gaming group. Indy's Armistice Day Fits Tournament began back in 1989. Indy's famed spring classic, the Red Baron Fight, was first held in 1990. And the squadron's newest tradition, the Whosyercon Open, is now five years old. No one has ever won Indy's Triple Crown by taking all three titles in the same year. Two players have won all three events, but it has never been done in the same year. The only player to ever have the opportunity was Stephen Skinner, who won both the 2015 Whosyercon Open and Red Baron Fight XXVI in the spring of the same year. However, he was unable to win the 2015 Armistice Day championship and the Triple Crown remained elusive. The fall gaming season kicked off at Hometown Comics and Games in Greenfield on October 13th, following the Indy Squadron's traditional summer break. Four games were played with four players in attendance. The first scenario featured a pair of French SPAD 7's (Ethan, Stephen) attacking a balloon. Ethan's pilot attacked the balloon twice, scoring a maximum burst on his second pass, while Stephen managed only one hit factor. 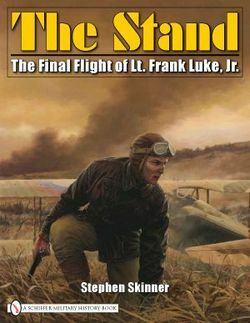 Yet Stephen won the cut for the kill, his pilot's first in four missions (SGT Ferdinand Steniello, 4/1). Game Two featured another French SPAD (Rick) defending an Allied balloon floating at 500 feet. The Albatros DV's of Ethan and Stephen attacked, both inflicting heavy damage and flaming the balloon with a single firing run. The credit again went to Stephen's pilot (LTN Johannes Beck, 6/2), although his Albatros was severely shot up with four critical hits and barely managed to limp home. The FITS Society's Spring Mini Con was held May 3-6, 2018, at the Holiday Inn Express in Milwaukee. Rick Lacy, Stephen, Ethan and Stephen Dale Skinner represented the Indy Squadron at Dawn Patrol's annual national convention. George Mohoi represented Indiana's second organized Dawn Patrol group, the Region Squadron. Rick scored two kills and lost three pilots in 28 total missions. Stephen Dale suffered from a bad cold and missed much of the first two days of gaming, but played well in the Master's Tournament. Ethan scored several kills and survived nearly all of his missions, although he was shot down in the final turns of the Masters. George flew well for the Region gaming group and scored a top ten finish in the Masters. Stephen narrowly missed his second Mini Con championship (his first win was in 2002), being outscored by less than one point by winner Andy Priest. Stephen also finished fourth in the Masters. Below is a photo journal of the Mini Con as well as interviews with several Indiana players summarizing their experiences. 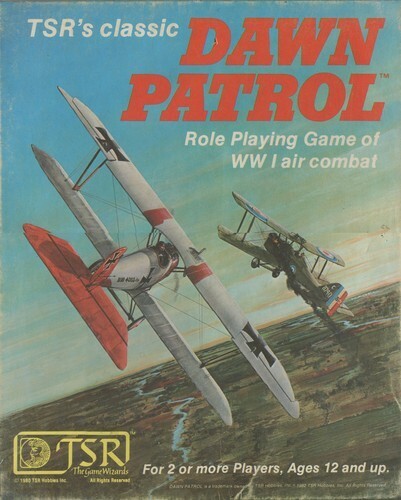 Terry Phillips played in five Red Baron Fights during his Dawn Patrol career, winning three of them. 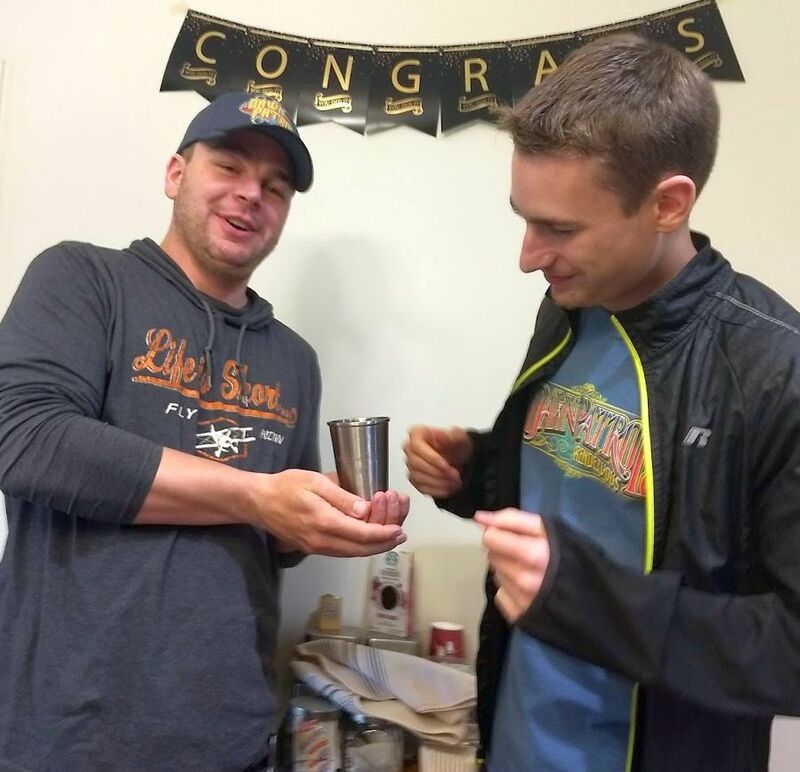 Graham Shepfer (two titles in five tries) and Michael Morgan (two wins in four events) have also posted record setting performances in the Indy Squadron's spring classic. But a new name must now be mentioned in any conversation of RBF's GOAT (Greatest of All Time). ​With his fourth Silver Goblet in hand, Rick Lacy has firmly established himself among the greatest players in the history of the Red Baron Fight. His narrow, two-point win over Bruce Yoder and Stephen Dale was built on the Lacy philosophy of air fighting that has served him so well... consistent shooting, teamwork and focusing on the overall mission. Red Baron Fight XXIX This Weekend! Additional games on Friday night gaming were scheduled but we had one player who was called in to work and unable to make it, which leaves us one player short. If you are able to game on Friday night, please contact Rick Lacy or Scott Campbell for details. They would still like to get in a few Friday night games if possible prior to Saturday's big event. The choices available for RBF's award, the Silver Goblet, continue to change but we were able to find a beautiful tankard as this year's prize. As always, it is silver and engraved with the date and event. We think the Red Baron himself would be proud. He was, after all, an avid collector of silver cups to commemorate each aerial victory. Photos of the 2018 silver tankard are included here. There is only one 100th anniversary game for Red Baron Fight... make sure you're there to win it!